Supercell's latest financials are out and, in terms of growth, they don’t make great reading. The company generated $1.6 billion in revenue in 2018, while profits before tax stood at $635 million - with $122m in tax going to its Finnish homeland. That’s down from the $2 billion sales and $810m profit the company made in 2017, which was also down on 2016. For most developers these figures taken on their own would make happy reading. But for one of the mobile games industry’s brightest stars, it looked like the company was struggling with a declining portfolio. 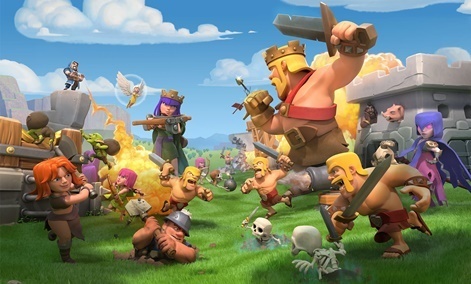 It was clear that Hay Day, Clash of Clans and Boom Beach were showing their age, while the now two-year old Clash Royale had been slipping away from its launch highs. It was also a sign that the studio hadn’t released a game since Clash Royale in March 2016. Some might argue the company was struggling to find that magic spark again. When Brawl Stars soft-launched in June 2017, it looked like Supercell might yet again kill another game. But the development team got to work and, with numerous updates and overhauls during a 544 day period of limited release, finally launched it on December 12th 2018. Just a bit too late to make a real impact on Supercell’s declining financials. But a look at the company’s unrivalled history, philosophy and the promising launch of Brawl Stars shows that, thanks to its patience, Supercell’s gains on an already strong foundation could be explosive. And just at the cost of a couple years of - still extraordinarily lucrative - decline. And the decline is kind of the point. Our concern is that if you start to be driven by short-term financials, you may be tempted to release average quality games too early or be overly focused on monetisation. Supercell CEO Ilkka Paananen himself notes in his blog post that people often ask him if he feels disappointed that numbers have gone down from the previous year, and the year before that. But he’s all about the long game. “Well, sure, of course it would be great if the numbers always grew from the previous year,” said Paananen. “But, focusing on short-term financial metrics has never been the most important thing for me or for us as a company. Our concern is that if you start to be driven by short-term financials, you may be tempted to release average quality games too early or be overly focused on monetisation. Supercell’s strategy on finding hit games with small creative teams, combined with having the patience to find the right titles to launch and cancelling those that might even make other studios rich, has resulted in its first four games making over $1 billion each. To put that into context, few other studios have managed to launch more than one billion-dollar game on mobile - an already incredibly small club. So far, Supercell has done it every single time, extremely profitably. The Clash games - Clash of Clans and Clash Royale - have themselves generated a combined $10 billion in lifetime sales. And they aren’t stopping yet. Such success shows that waiting for each game to launch has resulted in long-term profitability. And all that’s been achieved by a studio that currently counts 283 staff. Brawl Stars looks well on its way to being another hit for the studio. Mobile data firm Sensor Tower claims that after two months of global release (following 544 days of soft launch), it’s already generated $100 million in revenue. 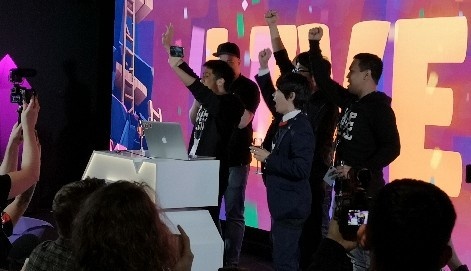 And now Supercell is eyeing up its biggest prize - the Chinese games market. Perhaps if other big developers and publishers, a number of which are experiencing declines in their own mobile businesses, look closer at the Supercell way, they might just find patience is a virtue. If they can afford to wait, of course. Many studios don't have the 'luxury' of patience with bills to pay and investors to please. But for those who don't wait, can they afford not to?